Fall is upon us, which means it’s time for soup! There is nothing better than a nice bowl of soup on a cool fall day! I asked some of my blog friends to share their favorite fall soup recipes, stew recipes and chili recipes with me so I could share them with you! Be sure to share them with your friends too by pinning to your favorite Pinterest Recipe Board! Click any of the highlighted links below to view a particular recipe! Slow Cooker Chicken Taco Soup from Is This Really My Life? 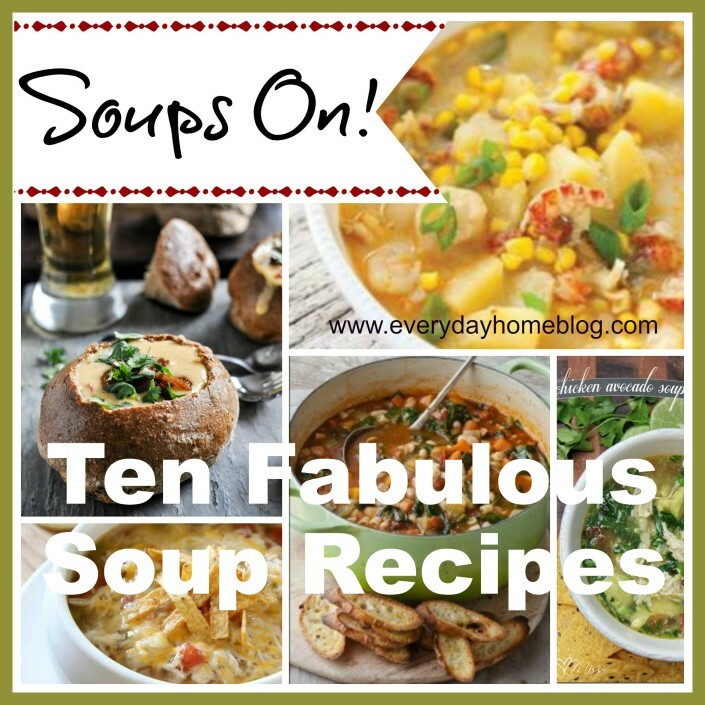 for 10 more fabulous soup recipes, visit Barb at The Everyday Home! Do you have a favorite soup? I’d love for you to share in the comments below! These look so yummy! I’m ready for soup weather! Oh wow, what an amazing round up! We love soup a LOT around here and I am excited to try a TON of these. Thanks for including my Creamy Lentil Soup and my New England Clam Chowder too! Pinning! Jess – thank you SO much for including my chicken tortilla soup! 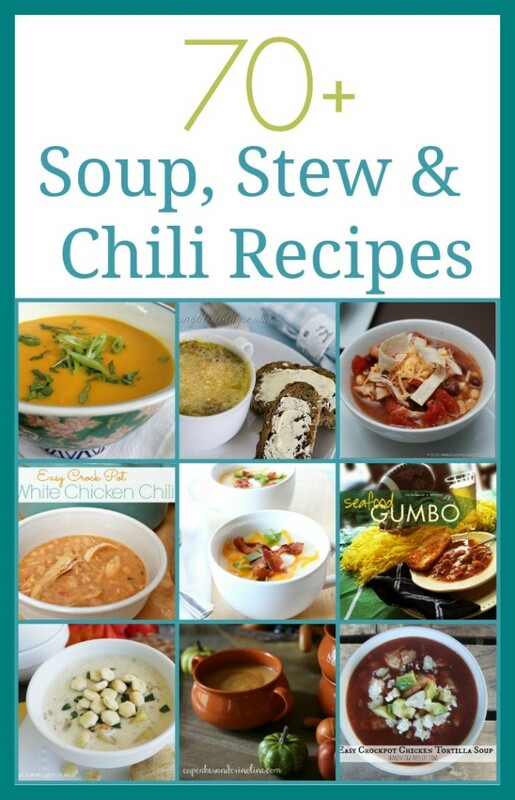 I pinned this yummy collection and can’t wait to get cooking! Thank you for including my gumbo. This is the first of these I have done…a whole new word for me. I shared evrywhere!! Thank you so much for including my Chicken Cilantro Soup!! :) Cant wait to try these recipes! My daughter just learned a few months ago she has to eat gluten-free and I would like to collect some for her. So what I’m asking is Do you make or have any gluten-free recipes? Thank so much as I love your web sites and mail. Great list! Now I just need to decide which soup to make first! What a great party Jessica….we love soup in this household!!! Thanks so much for including my Pumpkin Soup among all these fabulous recipe! I am such a soup fan so now I need to go check all of these out. Mmmmm…these all sound FABULOUS!! Bring on the soup weather! !